The terrifying headmistress of Darnley Park School, an upmarket private girls boarding school steeped in tradition  which Harriet is desperate to cling on to. Harriets only daughter Jessica is bullied and put-upon. Shes meek but is attractive and has a good heart. Flashy but a bit wet, Jamie is a governor at Darnley Park where his daughter Charlotte is a pupil. He wants the school to modernise and join the state system to pay off its debts. Jamies ex-wife Kate strides through life not giving a damn for anyone. Shes the daughter of racing driver Peter Fossett and is used to getting her own way. A charming old fellow and former racing driver now in his 70s. Hes all charm and dither. 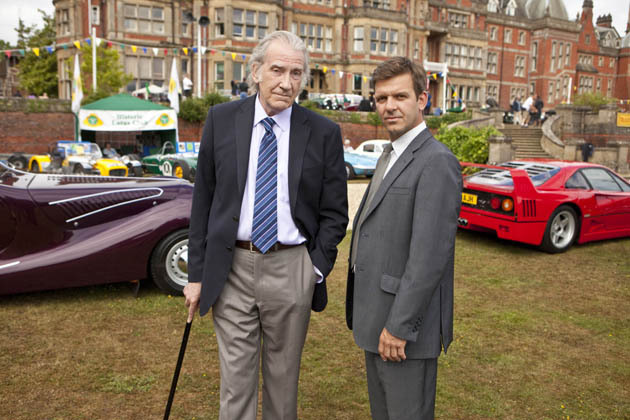 He comes to Darnley Park to judge a classic car competition. Charlotte is a vampish school girl whos 18 going on 35. She likes to break the rules. A DJ from the nearby Moor Park estate. His homeboy accent and attitude is fake. A young ambitious criminal from the estate who dotes on Charlotte. Two scholarship girls at Darnley Park who dont share the others posh backgrounds. A local usurer and thug. Thomass daft gran who probably knows more than she lets on. A racing driver and contemporary of Peter Fossett's who disappeared in the 1960s.